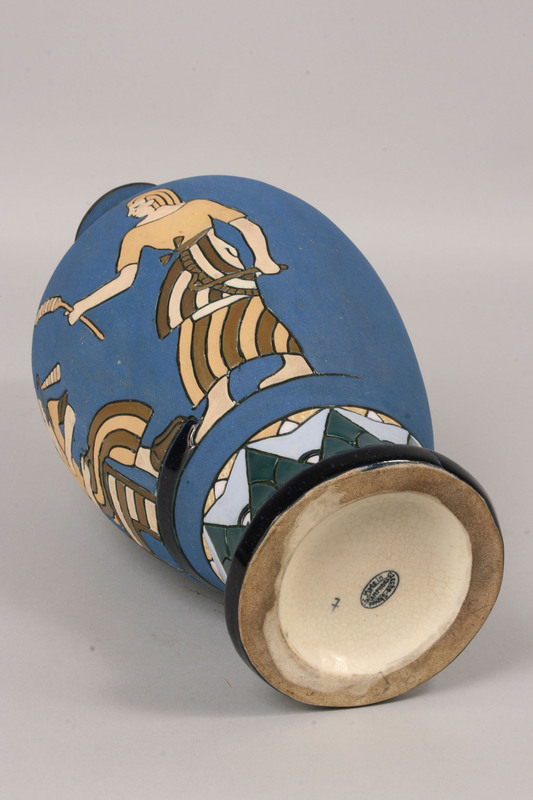 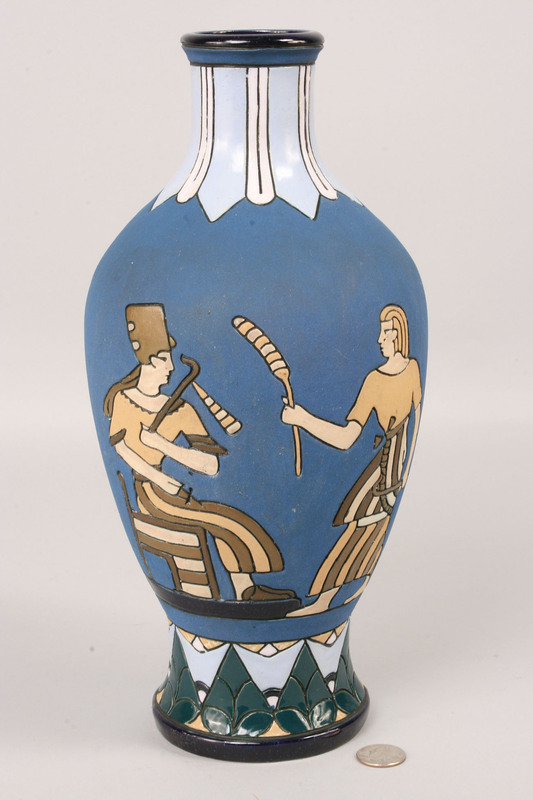 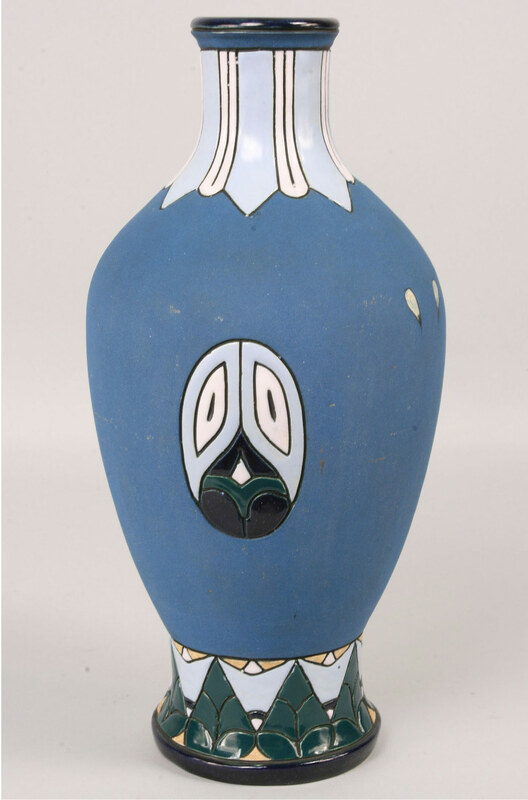 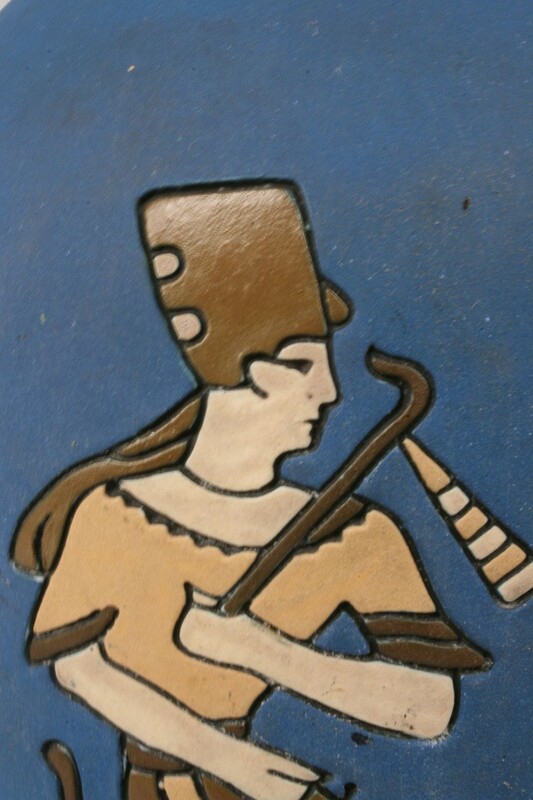 Amphora vase with Egyptian figures on a blue ground matte and glazed in varying degrees. 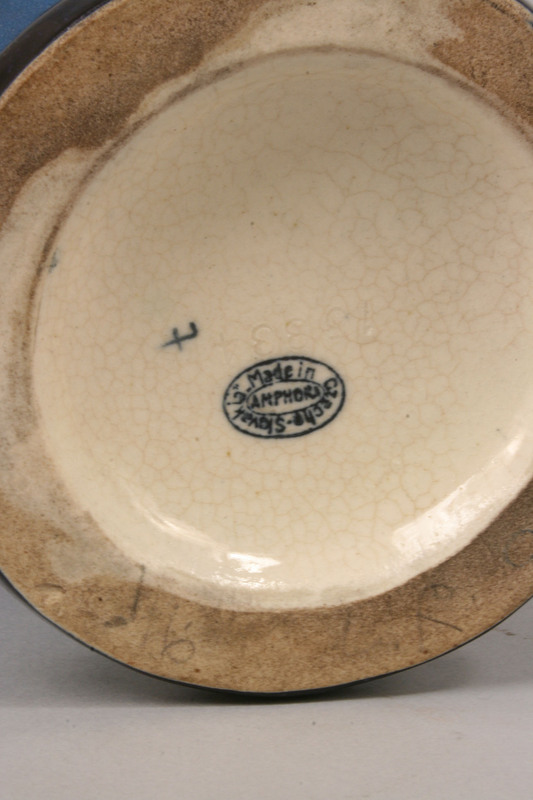 Impressed: " Made in Czechoslovakia, Amphora 15334" and hand signed "rt". 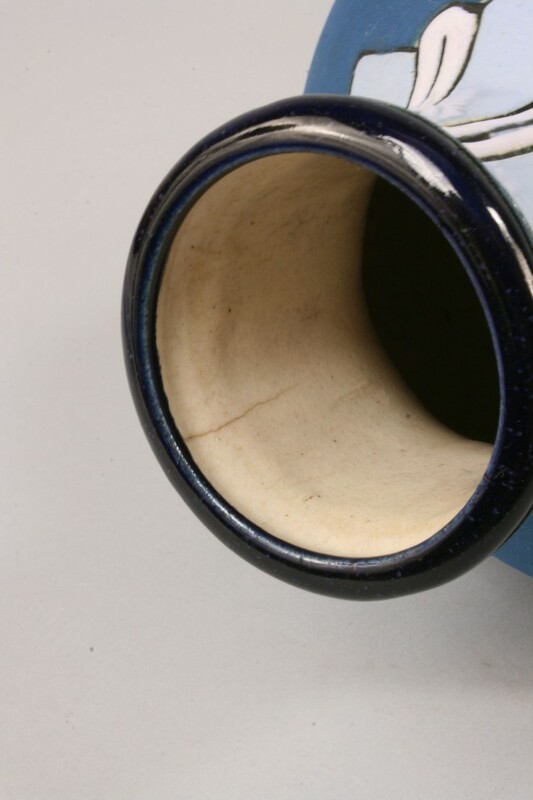 Minor interior fissure around rim. 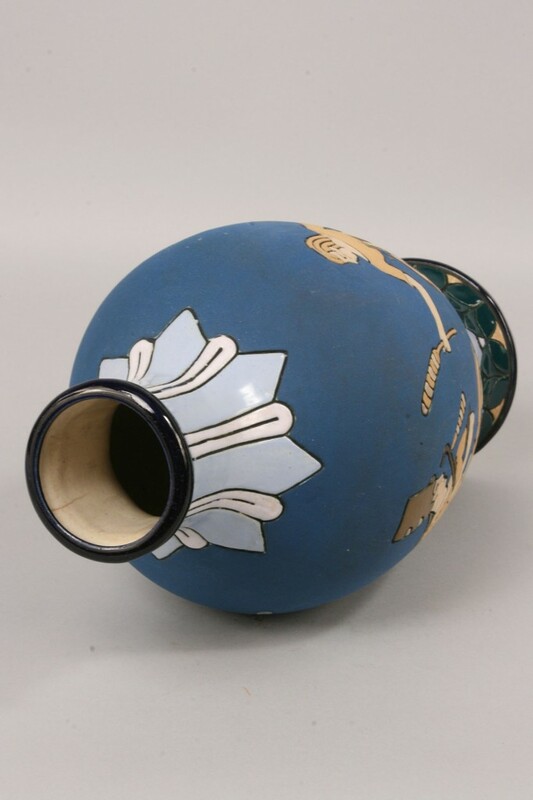 14" H. 20th century.